to go on a small road trip. are all on the schedule. It was taken near the entrance to her driveway. What's on my wish list this year? at the Koffee Kup Cafe in Hico. What did I find last year on the Hico Antique Show roadtrip? a great impromptu photo shoot. Always love to meet fellow bloggers. Send me an email message if you would like to meet. I can always eat another piece of pie with friends. 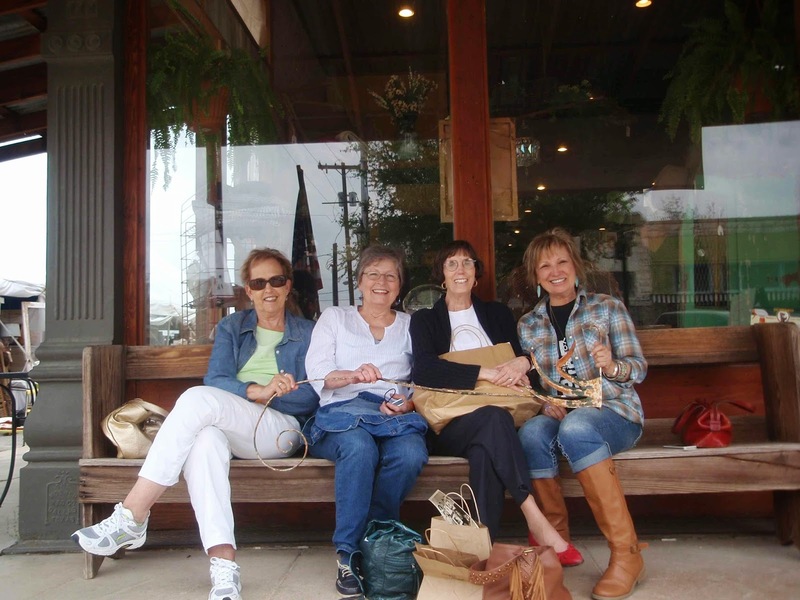 Here we are, Hico Hotties, with some of our purchases in 2013. 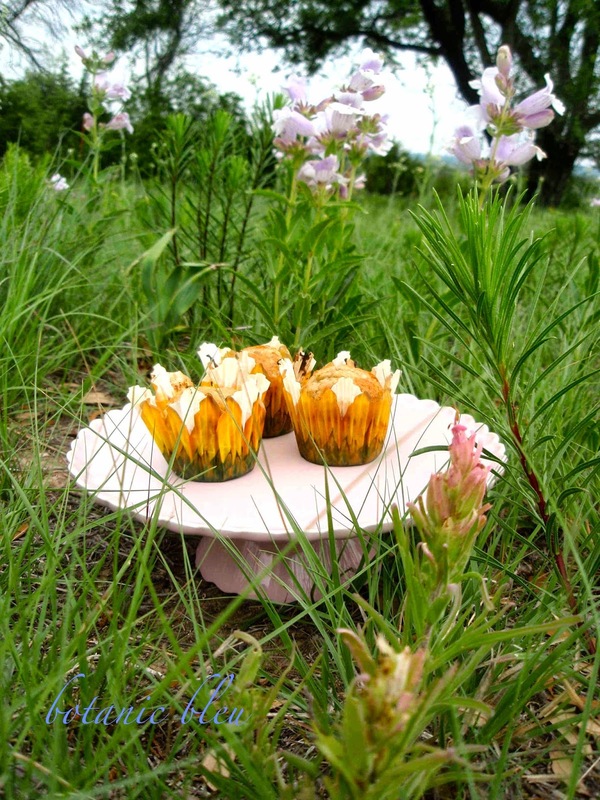 The wildflowers are gorgeous. 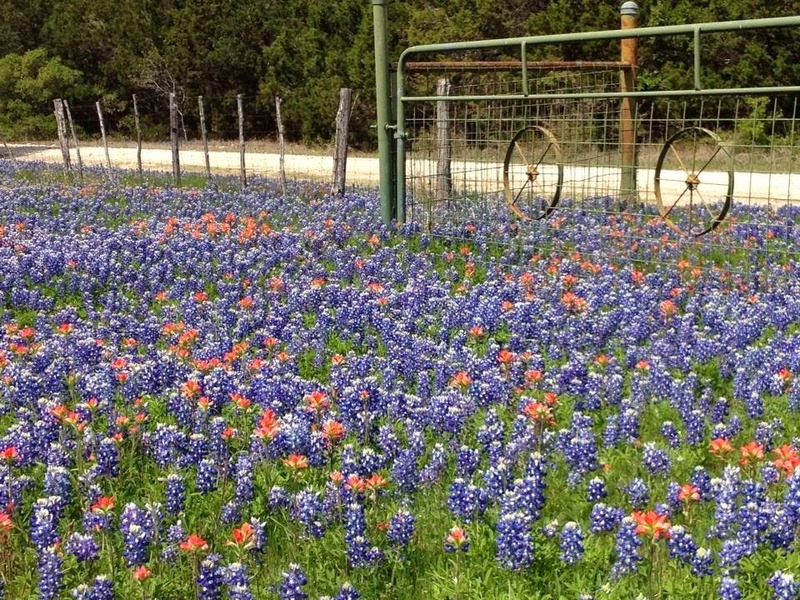 I've been awed by the mix of Indian Paints in with the Bluebonnets this year. I'm the dark-haired one, second from the right, wearing sassy red shoes.